Read what the trainers are reading. Every NSW trainer receives a monthly copy of Racing NSW Magazine – for good reason! Racing NSW Magazine is one of the country’s most colourful and liveliest thoroughbred racing magazines. It contains everything a trainer needs to know such as race dates, metropolitan, provincial & country race programming, Rules of Racing updates, the ‘Daily Diary’, summary charts and contact details for all NSW trainers, jockeys, farriers and riders’ agents. Plus each month enjoy interesting colour features on racing’s characters - jockeys, trainers, owners and horses - which appeals to an extensive readership base including interstate and international subscribers. 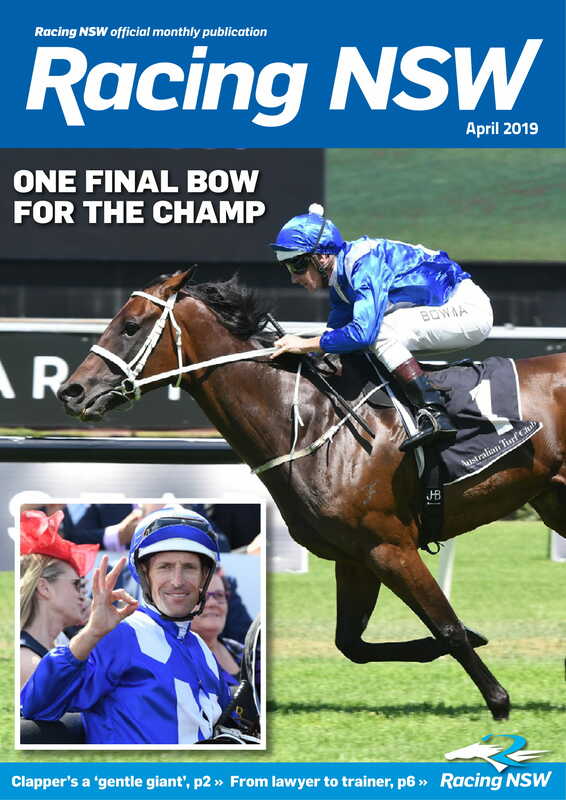 Our award-winning monthly magazine also has in-depth articles and information on the breeding world, and provides excellent insights and information on the people and horses that matter in Racing in NSW. What are you waiting for – SUBSCRIBE TODAY !! • Super Sammy to the rescue!